The Preparation Phase is for people just getting into physical training, people who have had a long layoff from training and people who are using bodyweight calisthenics exercise for the first time. This phase will prepare your body for physical activity and get you accustomed to adding physical training into your lifestyle. Therefore, I suggest everyone starts here... regardless of how fit your think you are. This phase will accustom your body to physical activity slowly and without a great deal of stress... to the point the workouts could be used every day. Moving forward to The Progression Phase is determined by your personal advancements. When you are unfit... physical improvements can be made for longer periods of time using the same training methods. Once a certain level of fitness has been achieved, the Preparation Phase workouts will fail to promote further improvement... and are best used for maintenance and recovery. Use Prep Workout 1 or Prep Workout 2... or alternate between the two. Every day... or at least 3 times a week. One of the very best programs to prepare your body for physical activity is already at your disposal... in Prepare and Repair. • It will familiarize you with the Warm Up and Cool Down you should use for all your physical training. • It will get your body accustomed to physical exercise and moving with a full range of motion. When you move on to the Progression and OptiFitness Phases you can use this workout as a daily preparation for the day's events, on light days and/or as a recuperation workout from more intense workouts. 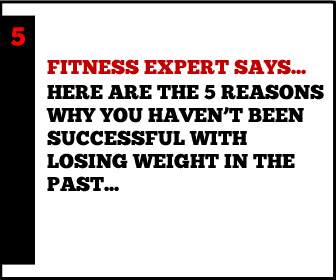 Greater Results and Better Health With Intense Fitness Classes Lessons. 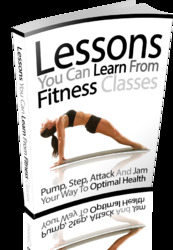 This Book Is One Of The Most Valuable Resources In The World When It Comes To Powerful Tips To Enjoy your Fitness classes.